Autumn colours add magic to the forests surrounding Longshaw Estates in the Peak District and the abandoned millstones hiding beneath the trees. 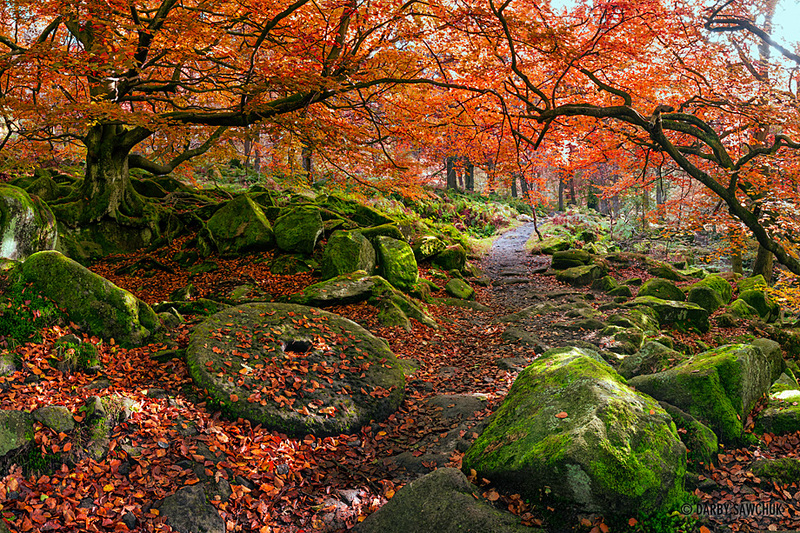 More of my photos of the Peak District and the English midlands are available here. 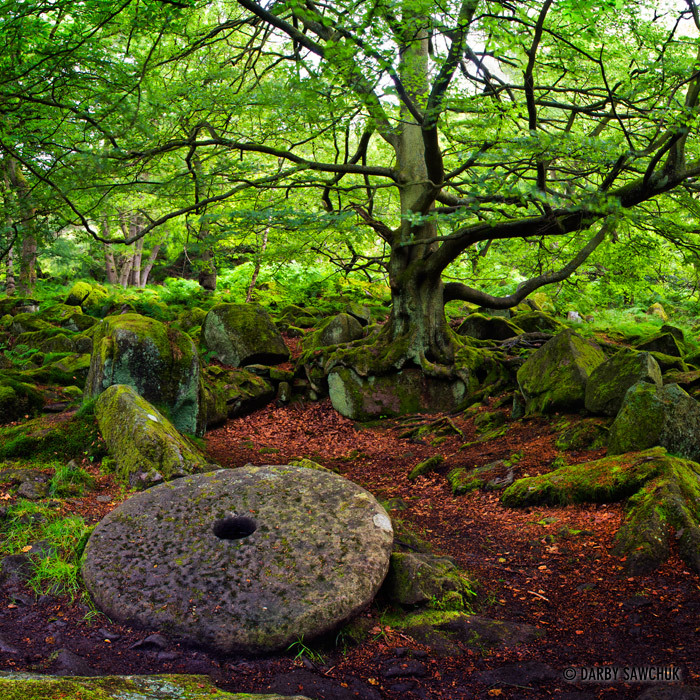 The millstones randomly scattered around Northern England’s Peak District captivate me. These weathered stones all probably have some story attached to them and who knows if anyone remembers just how they got where they are. This mysterious stone rests beneath a picturesque tree near the edge of Padley Gorge on the Longshaw Estates National Trust property. 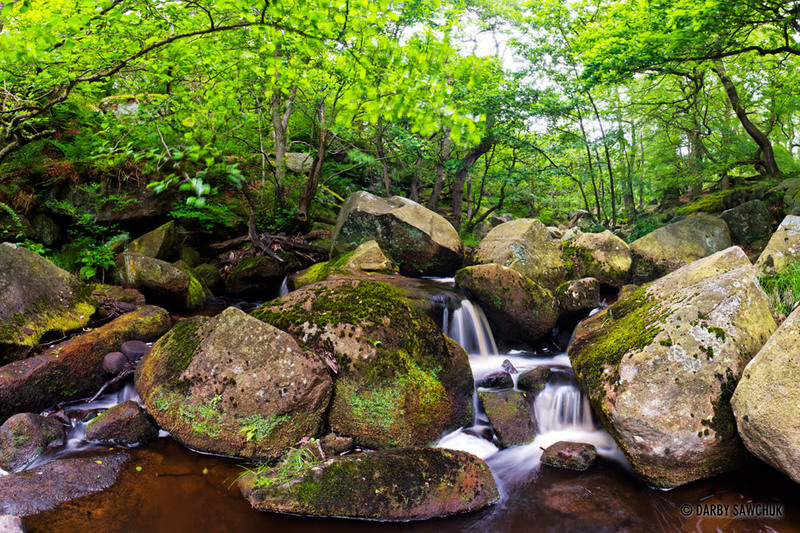 On the way back from our most recent trip to Lincoln, we stopped at Longshaw Estates, a beautiful National Trust property that provides extensive opportunities for walkers to have a good stroll. I immediately headed for the confines of Padley Gorge and peaty water cascading over mossy stones while emerald branches swayed overhead. There I found a few photo ops including the scene below. 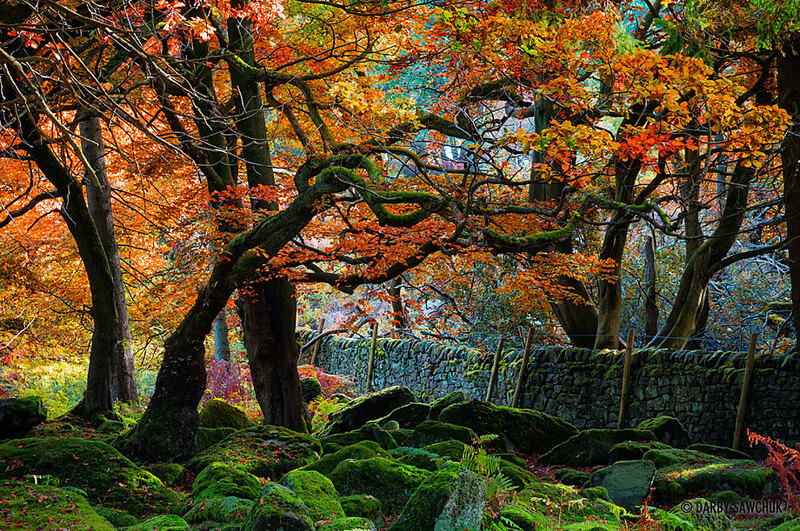 I’ll definitely have to go back and spend a longer time there and I’m guessing it’s a pretty fine place to be when autumn arrives.